Sarah Ellen Farmer Drake, affectionately known as “Nanny”, 82, of Soddy Daisy, passed away December 3, 2018. She was a member of the Church of Christ. Ms. Drake worked at Nikki’s Restaurant for seventeen years and then retired from Cavalier Corporation after twenty seven years of service. She was preceded in death by her husband of forty nine years, Carlton Dean Drake; sisters, Thelma Green, Shirley Young and brothers, Dewey Farmer, J.R. “Cotton” Farmer and Tommy Farmer. 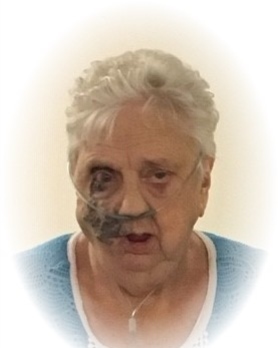 She is survived by her sons, David (Sheila) Vickers, Douglas Drake, Daniel (Beth Dalton) Drake and Dennis Drake; daughters, Debbie (Jay) Lamance, Darlene (Dennis) Higgins; brothers, Harland Farmer, Samuel Farmer, Carlos Farmer; sisters, Pearl Champion, Faye Wright; fifteen grandchildren, sixteen great-grandchildren and two great-great-grandchildren. Her family wants to offer a special thanks to Hospice of Chattanooga. Visitation is 4:00 P.M. to 8:00 P.M. Wednesday. Services will be 11:00 A.M Thursday, December 6, 2018 at Williamson & Sons Funeral Home. Burial will follow in Collier Cemetery.